Our wide variety of Leather Hand Gloves that finds application in a gamut of industries. Leather, being a durable and flexible material, is the most suitable material for manufacturing gloves that can be worn by industrial workers. 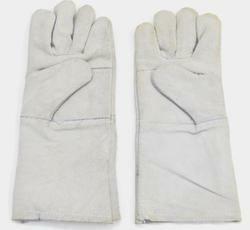 We are offering Split Leather Welding Gloves in various sizes to suit the requirements of the clients. These are fabricated using good quality raw material. 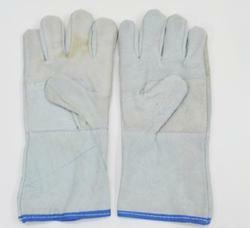 These gloves are used in industries for welding purpose. They made of soft split leather and are heat resistant with soft cloth padding inside the glove for extra comfort. 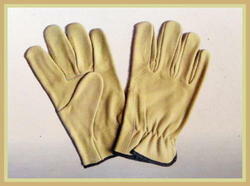 We offer a wide range of Leather Hand Gloves. These gloves are heat resistance hand gloves. These provide excellent protection against chemical reactions. The gloves are highly shock resistant. We are leading supplier, dealer & retailer of leather hand gloves that is available in various designs, patterns, sizes and colors as per the specifications of our valued clients. These are closely examined by our experts on various required parameters such as dimensional accuracy, design, weld ability and finish. Our range of product is well packed in quality packing material for its safe delivery. Fostered with the team of adroit professionals, we are successfully engaged in offering the best quality array of White Leather Hand Gloves. 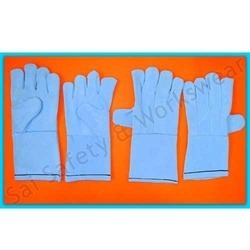 These gloves are manufactured by our adroit professionals using quality tested leather and the latest techniques as per set industry standards. These gloves suit best to be used by workers in chemical, food processing and medical applications to protect hands from harmful chemicals. Moreover, these gloves can be purchased at pocket-friendly prices from us. We are comprehensively offering a wide range of Leather Safety Gloves to the consumers’ at most preferable rates. 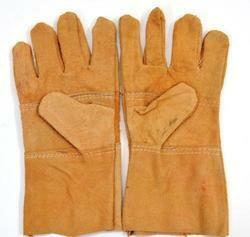 Our Leather Safety Gloves is ideal to use by the workers in numerous industrial work. Our Leather Safety Gloves are made up of finest quality leather with keeping the demands and specifications of the customers in mind. Leather Hand Gloves are safe to huge and have high resistant to heat and abrasion. Making of this range is done as per the industry guidelines, by trusted vendors, utilizing the finest raw materials and modern machines. This ensures the products finishing, strength, performance and service life. To meet the variegated demands of the clients, our company is instrumental in offering an excellent quality range of Chrome Leather Hand Gloves. Product DescriptionEnriched with years of experience in the industry, we are engaged in offering Chrome Leather Red Gloves. 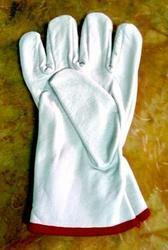 We offer fully lined Red Leather Hand Gloves for industrial safety and protection. 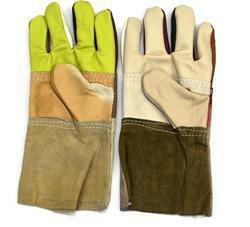 We bring for our clients a wide array of welding gloves that are made soft leather of good quality. 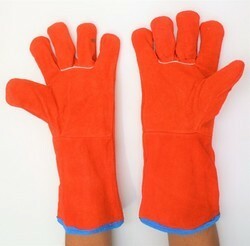 These gloves are chemically treated and have a fine finish. 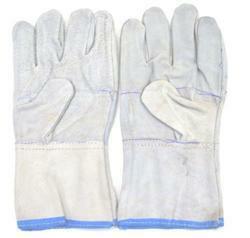 These welding gloves come in a variety of sizes and are used for welding purposes. These gloves were thick and strong provide a higher level of safety to hands. 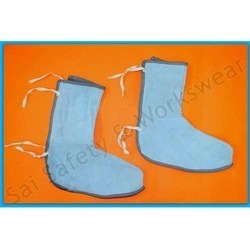 These prevent the workers from any kind of working hazardous. Heavy Quality offered come developed using specially selected quality split leather which makes these provide adequate safety to the hands during handling of demanding tasks. Further, these also feature superior stitching finish so as to provide for resistance to tearing at seams. Some of its features include providing for lasting service.